Traders want the government to do away with the sections of APMC Act that allow market committees to suspend licenses of traders who purchase commodities below the Minimum Support Price (MSP). Representatives from traders’ organisations in Maharashtra are going to meet the Minister of Cooperation, Subhash Deshmukh, in Mumbai on Monday to discuss their concerns about the implementation of the Agricultural Produce Marketing Committee (Regulation and Development), Act 1963. Traders want the government to do away with the sections that allow market committees to suspend licenses of traders who purchase commodities below the Minimum Support Price (MSP). Recently, traders across the state had suspended trade in wholesale markets after the state cabinet decided to penalise traders involved in below MSP purchases with a one-year prison term and Rs 50,000 fine. In a letter to market committees, the director of marketing had asked them to take action against the striking traders. Last Monday, traders from across Maharashtra had met in Pune to discuss their next course of action. While the strike was suspended after the meeting, traders had called for more clarity from the government in this regard. Walchand Sancheti, chairman of the Maharashtra Federation of Association of Traders, had said they would meet the government and press for a rescission of the new amendment, as well as the existing provision for suspension of traders’ licenses. “We want the existing provision of suspension of licenses to be struck off,” he said. Trade is based on the law of supply and demand and any external artificial method to control the prices do not work, said Sancheti. Quite a few wholesale markets, including the one in Latur, are yet to start operations. Traders were reluctant to resume trade as they wanted an assurance from the market committees, that no action will be taken against them said Lalitbhai Shah, chairman of the market. “We have been meeting them regularly and hope the markets will restart by Friday,” he said. 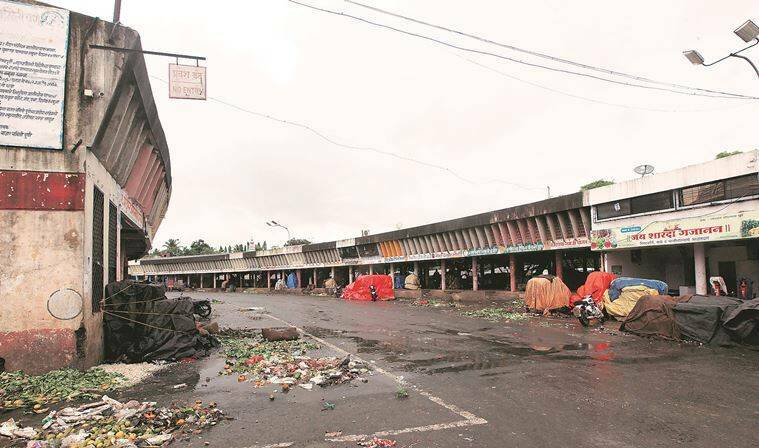 While no action has been taken against traders in Latur, market authorities in the neighbouring districts of Parbhani and Aurangabad have issued notices to 22 traders.